The team at radicalscooter.ie heard all about our party coming on January 23rd, 2010 at the Ambassador Hotel, and they decided to chip in to support our club, and our charity. 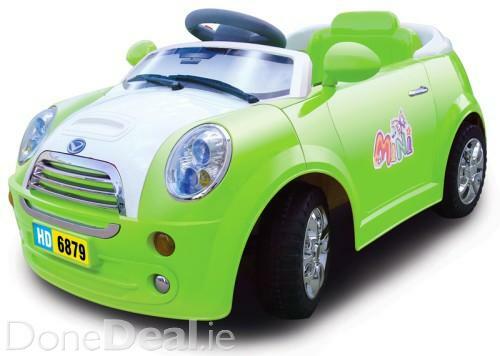 They’ve not only bought a fist full of tickets for the event, but they’ve donated a very cool MINI car for kids. 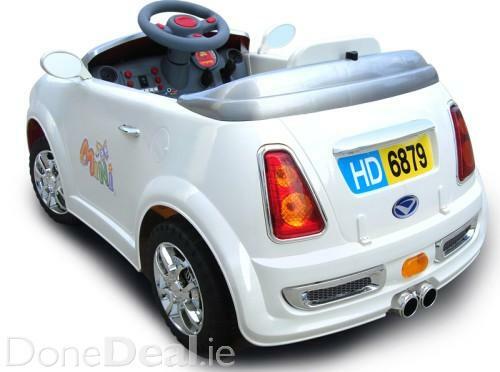 This is different to your usual kids car, it’s very very detailed, and has the MINI’s headlights, taillights, alloys, and bodystyling down to a tee. It can be used by the kids to drive around, and when the kids go to bed, it can be used as a ridiculously big remote control car. The normal retail of this is €149, so we really appreciate them offering this as a prize for the evening. We’re delighted to have them on board. One Response to "radicalscooter.ie donate a MINI for our Party"
A MINI for fully grown people like me…..!